Hey friends! I’m popping in today to share a quick and easy recipe with you. 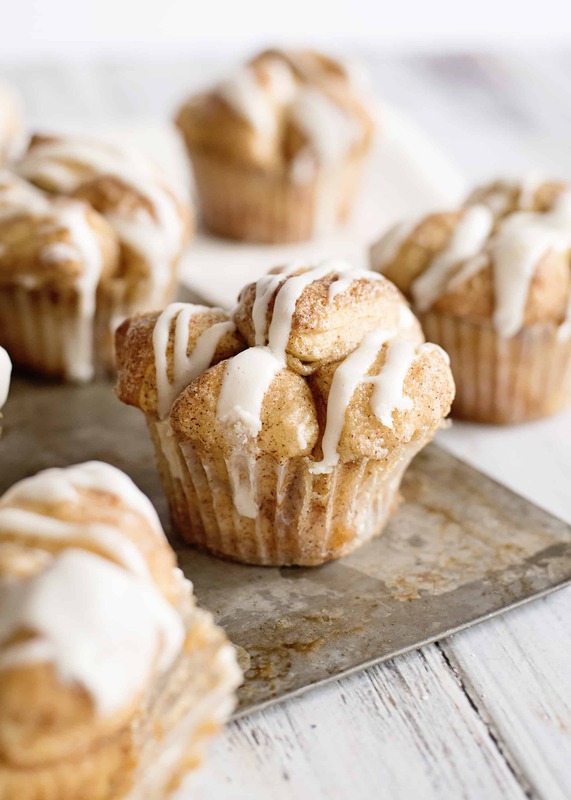 This is an updated version of classic Monkey Bread in easy to grab muffin form – and pretty enough for company. This recipe takes advantages of multiple shortcuts, too, so it’s perfect for a busy morning when you’ve got places to go and people to see but you still want to make something warm, special, and yummy. 1. Cut each biscuit into eight equal parts. Then, stir together white sugar and cinnamon. Dip each biscuit piece inside and stir to coat. 2. Line a muffin tin with ten muffin papers. Place eight biscuit pieces into each muffin paper. 3. Combine butter, brown sugar, and water in a small saucepan and place over medium heat. Stir constantly until just melted and well blended. Remove from heat and add vanilla. 4. 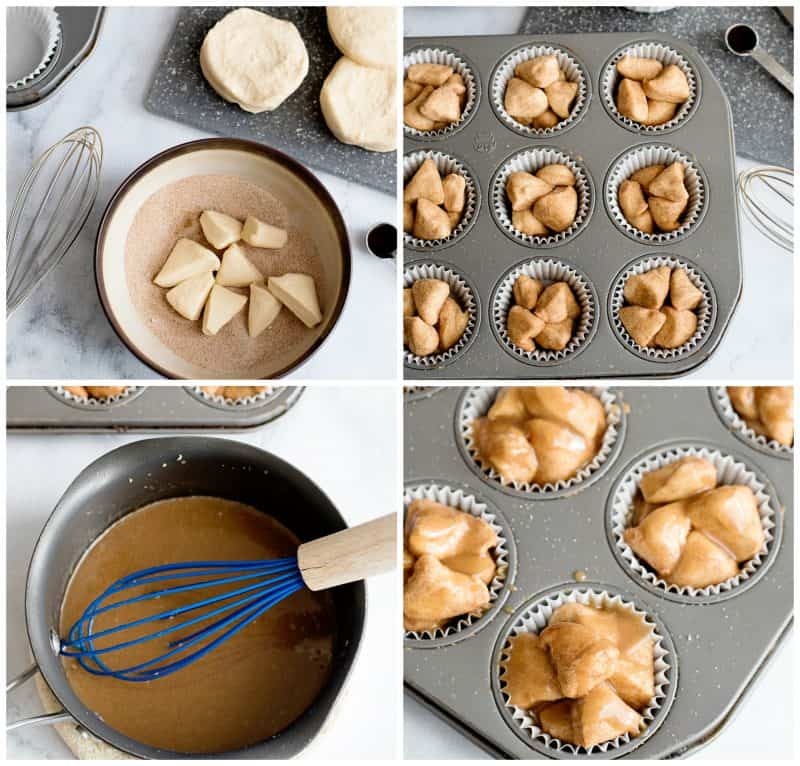 Pour a heaping tablespoon of brown sugar syrup over each muffin cup. Bake at 375 for 12-14 minutes. Allow to cool slightly. Remove lid from cream cheese icing and heat in microwave for about thirty seconds, until just softened and barely runny. Drizzle a little icing over each muffin after they have cooled a bit. Preheat oven to 375 degrees. Line a muffin pan with non-stick spray or 8 cupcake liners. In a small bowl, combine the granulated sugar and cinnamon. Separate the biscuits and cut each one into 8 equal pieces. Toss the pieces into the cinnamon sugar mixture and place 8 of them into each muffin well or liner. Place a small saucepan on the stove and melt the butter, add the brown sugar and water. Mix until everything is all melted and combined. Stir in the vanilla extract. Pour a heaping tbsp. of the brown sugar and butter mixture over each of the muffins. Bake for 12-14 minutes, until golden brown. Allow the muffins to cool for about 10-15 minutes, before removing from the pan. Microwave the cream cheese frosting for 10 seconds, until it’s thinned out. Using a fork, drizzle the frosting all over your muffins. Serve warm or cooled! Store on the counter in a tightly covered container. Special thanks to my friend, Amanda over at Mommity, for sharing this recipe with me and allowing me to share it with you! Mini monkey bread. What a great idea. I’m going to try this with an orange icing, because that’s how my Grandma made it. Isn’t Monkey Bread made with yeast dough? 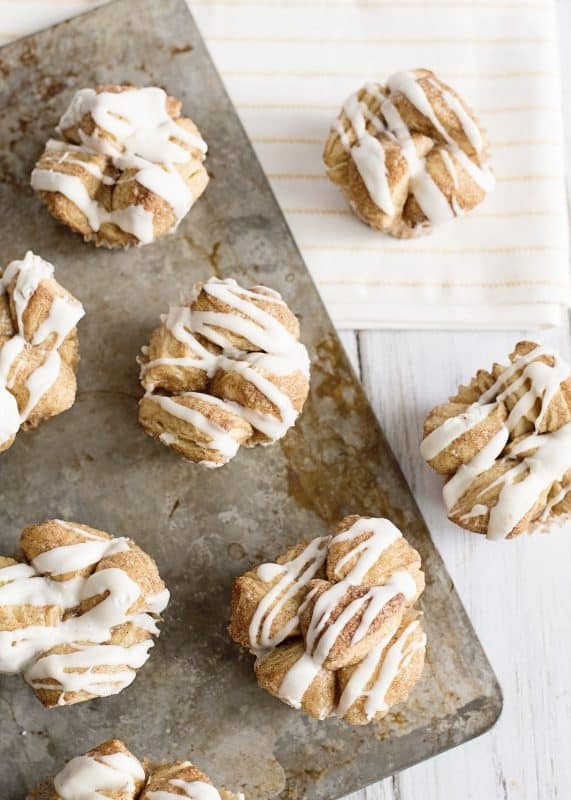 This recipe sounds good, but it’s more like a cinnamon biscuit than Monkey Bread. No, Monkey Bread has always been made with can biscuits, I have never eaten them made with yeast bread dough. This sounds like a less messy way of eating them for my grandsons, I will make this next time they visit. I’ve seen recipes for both, but this will be much easier. 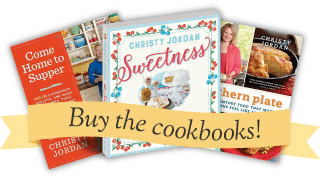 If you want swap out the biscuit dough for one of the yeast roll doughs on this site and see how it turns out. My Mom always made what she called bubble bread with yeast dough. Rolled the pieces in melted butter, cinnamon and sugar. They were then stacked in a bundt or tube pan. An Easter treat! I was out of canned biscuits one day and made monkey bread out of Angel (yeast) biscuit dough. Delicious, but time consuming. I hope everyone loves them!!! I can’t wait to try these. My hubby is on his way to the grocery store right now. I’m going to call him and ask him to please get the Grands buttermilk biscuits to whip these up. Thanks for another great eating treat! 🙂 Have one for me!! Can’t wait to hear what you think about them!! So many lovely recipes with unknown ingredients here in Australia. What is monkey bread? Maybe we have something similar? Del, it’s a really amazing pull a part coffee cake. You will love it. Maybe you have scone dough that comes in a tube by Pillsbury? So simple…so yummy. Tried it today and will definitely be making again. Yummy hand sized version a favorite treat. I made these for an Easter Brunch that I hosted and they were a hit!!! All of the goodnes on the bottom of the cupcake liner…. oh my!! Can in make 12 muffins and be without frosting? How to double the recipe to make 12 muffin?